We’re really excited today to present our first-ever interview. 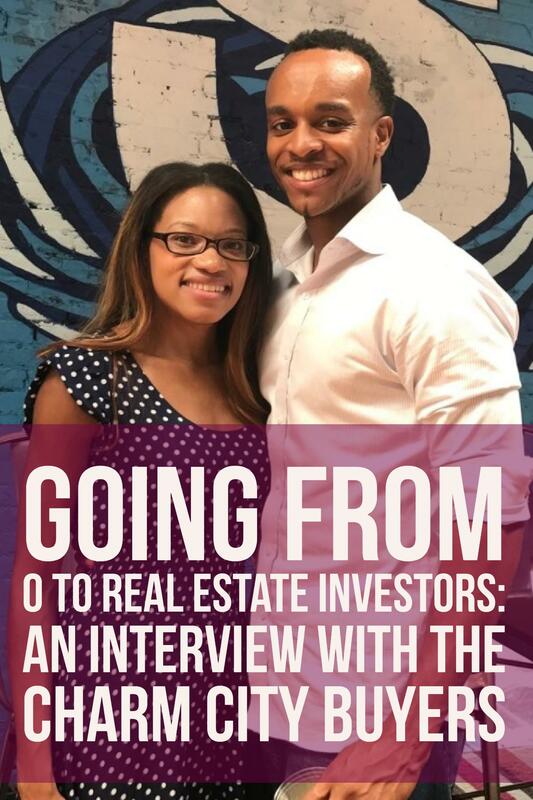 Kyara reached out once she heard about Wealth Noir and we loved the story of how she and her husband used real estate investing to reach financial freedom and build generational wealth. We had to share their story. We hope you find inspiration and actionable, real advice you can use personally. Wealth Noir: Hey Kyara, can you tell everyone a little bit about yourself and Charm City Buyers? Kyara of Charm City Buyers: Khalil and I have been investing since 2012 and have just celebrated our five year anniversary of purchasing our first property. Our holdings are primarily in Baltimore, MD although we have property in Hartford, CT as well. When we first started, our goal was to be able to work full-time in real estate by the age of 30. When we reached that goal at 27 and 28 years old, we created the Charm City Buyer’s (Charmcitybuyers.com) brand to inspire, motivate and support people interested in getting into real estate, especially in the Baltimore real estate investing community. Our new goal is to get as many people started as possible through live events, webinars, and group or 1:1 coaching. WN: Can you tell us what is in your current real estate portfolio? What ya holding? CCB: Our portfolio is currently a mixture of single and multifamily rentals as well as several flip projects we have underway. In an effort to not only stretch ourselves but also inspire others, we have launched our largest project yet (#boughttheblock). Our block project in Baltimore is underway. We’re excited to be able to take on such a huge undertaking to do our part in adding value to the Baltimore community. 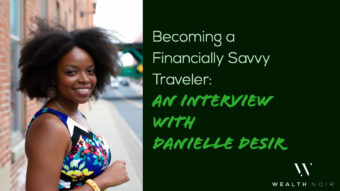 WN: What initially attracted you and your husband to Real Estate investing? CCB: Growing up in rural Pennsylvania, I grew up watching farmland transformed into new construction housing developments. I couldn’t help but to become interested in real estate. 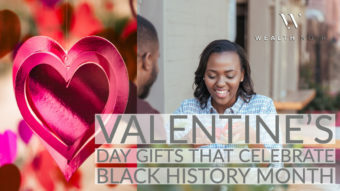 My passion only grew as I continued to learn of my own ancestors’ history of owning land and essentially building a “Black Wall Street” of their own in the early 1800s. There is even a book about my family called “Hinsonville, A Community At A Crossroads”. WN: Wow, what a backstory. Since most people don’t have that much history behind them, getting started can be a challenge. How did you find and purchase your first investment property? CCB: Our first purchase was a three family shell in Hartford, CT. We purchased the home via an online auction site with cash. Our original plan was to wholesale but quickly learned that grit would be required to save our investment. We financed the rehab of almost $120k through a non-profit with a similar mission as ours – to turn vacant houses into homes in some of the “forgotten” neighborhoods of the city. We completed the renovation in six months and still own the property to this day. WN: So it wasn’t smooth sailing. What was the hardest part of doing your first investment? CCB: The early days of our first deal were full of lessons from the “School of Hard Knocks”. We didn’t have a mentor or coach, nor did we have any real estate training. 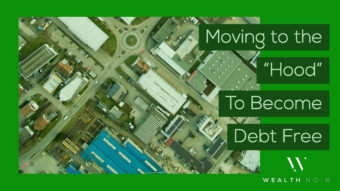 This resulted in making a bunch of mistakes – from how we purchased the property (all cash, quitclaim deed) to where we purchased it (the street was nicknamed “murder”). Luckily, we kept our eyes on the prize and pushed through the challenges to be successful. WN: We are all about The Knowledge here and spreading it. 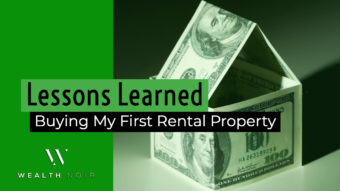 So, what has been the greatest lesson you learned while investing in real estate? Let us know. CCB: Like anything, success in real estate investing is dependant on your willingness to do the work and push through challenges. 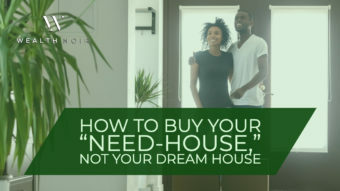 We’re not big on pushing the notion that real estate is easy and requires no money. However, there are plenty of creative ways to get things done and do them well. The piece of advice we share most often is to “House Hack” when possible. House Hacking is an approach to investing that leverages your personal home as an investment. For example, someone can purchase a duplex, live in one unit and rent the second. 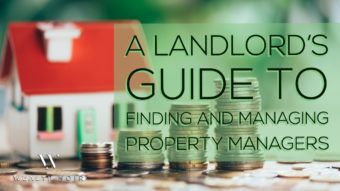 This allows the investor to let their tenant pay a strong portion (if not all or more) of their mortgage and essentially almost eliminate one of the largest bills that most homeowners have. 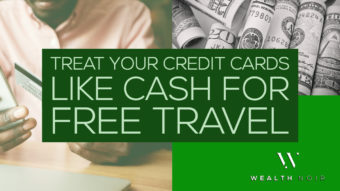 The funds saved can be used towards the next investment, building savings, going on that next trip – anything! The best part is that most small multi-unit properties qualify for FHA or VA financing, allowing the investor to take advantage of low down payments and interest rates! 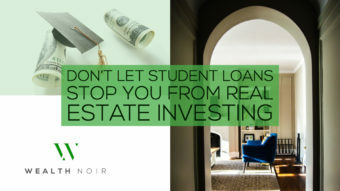 WN: With so many investing and wealth options, why do you believe in investing in real estate? What’s the one thing you like the most? CCB: Investing in real estate has given us options. We have an option to work a nine-to-five or not. We have the option to send our daughter to private school. We can have the option to pick up and move around the world if we wanted. 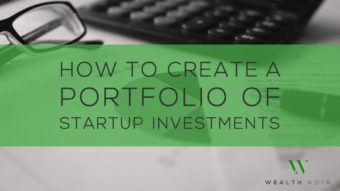 When your real estate investing business is built strategically and effectively, you are given options – and that is one of our favorite parts. Check Out: Does Bitcoin or Cryptocurrency Belong in Your Portfolio? Another great result of investing has been the opportunity to build communities. From our tenants to our clients to our followers – we have been able to impact the lives of others in a positive way. That opportunity is not something we take lightly. We get so much energy from helping people take the next positive step in their lives. “A rising tide raises all boats” – as we collaborate to become better individually, we all move forward and do better as a community. WN: With so many options to invest in real estate, what is your current investment strategy? and followers to follow us on our journey as they start their own. WN: As people try and decide if real estate makes sense for them, who do you think real estate investing is a good fit for? 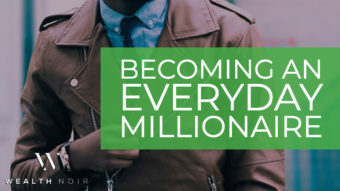 CCB: We’re of the mindset that real estate investing is great for everyone. However, buying a block of property may not be. Even if someone is only interested in purchases a personal home, there are many advantages of thinking and negotiating like an investor pro! Before getting started in real estate investing, it is critical to be able to control and manage personal finances. If your personal finances are tough, chances are it will be even more difficult to manage the finances of a business. WN: For those trying to decide right now, what advice do you have for someone trying to decide if they should invest in real estate? CCB: Step one to understand what investment type is best to you is to understand your “why”. Why do you want to invest? What’s your vision? What drives you? Once you understand your why, you should define 3 major life goals. What kind of life do you want to live? What legacy would you like to leave? From there, do research on expected results of several different investment types to better understand which one will get you where you want to go! WN: Let’s say they’ve decided, what advice do you have for someone getting ready to make their first investment? CCB: If you have decided real estate is for you, educate yourself and surround yourself with people who inspire you to take action. It’s important to have both. Education either through courses, classes or a coach will help you best navigate some of the challenges and pitfalls that come with investing. The people you surround yourself with (or should) keep you motivated and inspired to achieve your goals. Don’t get stuck in “analysis paralysis”! Nothing can happen if you do not make a move. 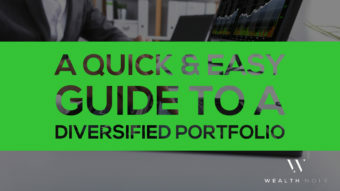 If you need help or are just looking for some further education, sites like Bigger Pockets and Clever Investor are excellent resources that we highly recommend! 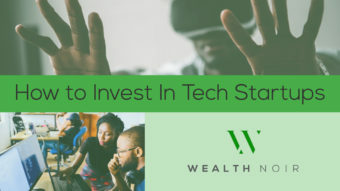 WN: Do you invest with partners? CCB: It’s “just us” – husband and wife duo and of course our daughter who is the real “CEO”. WN: Are you a full-time real estate investor or are you working in addition to your real estate business? CCB: We are full-time in real estate! Recently, Khalil was asked to join a team of large commercial developers which has taken him out of some of the day-to-day in our business. But that’s the benefit of their being two of us to lead the charge! It also expands our impact on the Baltimore real estate investing community, Baltimore City and beyond as we now have residential and commercial interests. 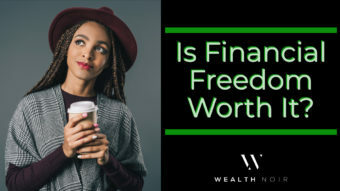 WN: How did you know it was time to make the shift to investing full-time and leave your regular jobs? CCB: We built our rental portfolio to the point of having “options”. It was time to make the shift when the opportunity cost of building someone else’s success was just too high compared to what we could do for ourselves. Since then, our business has exploded, we’ve done tv and bought a block…not too shabby! WN: Kyara, thanks for opening up to us about Charm City Buyers and how you and your husband were able to build a full-time business from the ground up. 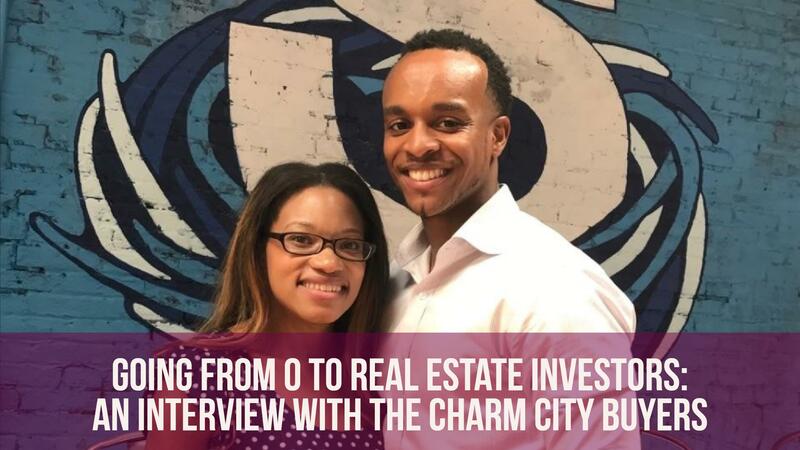 You can find out more about Charm City Buyers at CharmCityBuyers.com, or follow them on Instagram or Facebook to hear more about real estate investing and their project to renovate a block in Baltimore. They will also be hosting an online workshop on Oct, 28th 2017 (discount code: “CharmNoir”). 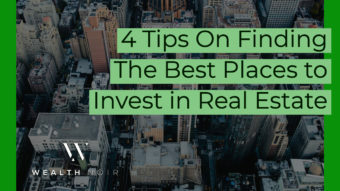 Be sure to leave a comment for the community about your own experiences investing in real estate or more questions you have that we didn’t cover today. Also, if you are interested in being interviewed for Wealth Noir, head over to our Partner With Us page. Thank you! This was encouraging to start, but I’m frightened of making a mistake. The first move is always the hardest. You shouldn’t be afraid of making a mistake, you definitely will. But, with the two stories of getting started we’ve shared on the site, everyone has been able to recover from them and were better off for starting than just waiting. Real estate is really frightening if you are starting on it. It is hard but when you used to it, it will be easy for you. Thank you for this article. Thanks for the comment mark. It took me a long time personally to get to the level of comfort I have today, but as you said the important thing is getting used to it and sticking with it. LOVE THIS! If you could’ve heard me hollering, “yaaaaassssss,” when I read they #boughttheblock! Love that concept and everything they are doing in RE. Very motivational! Thanks for the comment Nicole. We also love what they’re doing.